Drew Barrymore, aged 43 years old. The actress weighs 57 kg or 126 pounds and has a height of 5’4” (163 cm). Her workout includes jogging, dancing, swimming, and yoga, which helps her maintain a 37-27-35 figure. It was not the face mask alone that made her look so stunning at 2017’s Golden Globes. Her wholesome nutritious diet helps a great deal in staying fresh and energetic. Workout: jogging, dancing, swimming, and yoga. Best Known For: Appearing in Never Been Kissed (1990), Charlie’s Angels (2000), 50 First Dates (2004), and Fever Pitch (2005). 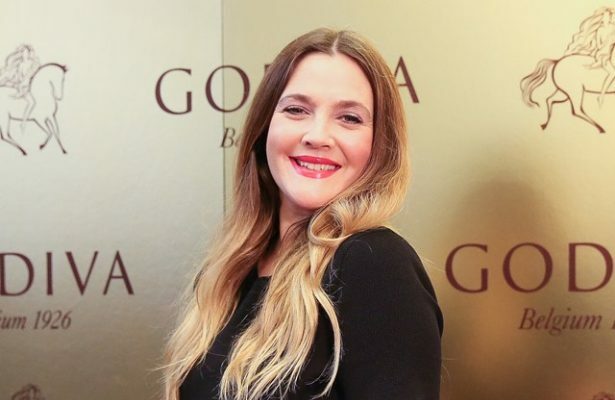 Despite Drew Barrymore’s age, she appears to look as radiant as ever, thanks to her healthy lifestyle. She includes wholesome and low-calorie foods in her diet. Her nutrient-dense diet consists of organic vegetables, fruits, and lean proteins like chicken and fish. Prior to 2004, Barrymore was vegan but later turned to animal proteins gain muscle. Although she doesn’t restrict herself from indulging in her favorites, she does monitor her intake of these foods. Barrymore doesn’t eat processed and junk foods. Instead, she consumes fruits, nuts, and seeds if hunger hits her in between meals. She also drinks green juices and water to keep her refreshed and hydrated throughout the day. Workouts were never part of her lifestyle a few years back, but now that she is aware of the lasting benefits, she never misses working out. Her personal trainer, Kathy Kaehler, designs her workout routine with exercises like jogging, dancing, swimming, and yoga. To avoid boredom, she likes to bring diversity to her workouts. Barrymore loves Pilates the most as it helps to keep her toned and flexible. She also loves doing cardio and other workouts that make her sweat. She runs five miles three times a week and also enjoys playing sports like golf twice a week. Her bootcamp-style workouts also helped her melt the fat and stay toned. Now that the 74th Golden Globe Awards show is over, fans can’t wait to see Drew Barrymore in the comedy-horror series, Santa Clarita Diet.